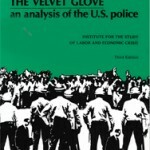 Categories: critical criminology, domestic repression and surveillance, police. 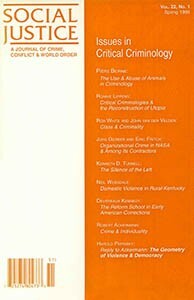 This issue on the antiterrorist state and articles solicited before September 11 in which contributors explore the relationship between neoliberalism and models of criminal justice, the political and ideological factors driving criminal justice policy in the United States, and the willingness of other countries to follow the United States in adopting the most punitive forms of social control. Responding to the purported urgency of crime control and the public’s demand for security at any cost, the prison-industrial complex was massively expanded, punishments became increasingly harsh, policing practices brutal and corrupt, and defendants’ rights eroded. Meanwhile, retreating from every social obligation save the selective enforcement of order, the neoliberal state polices the street and the workplace–rather than Wall Street and the boardroom, where the real explosion in crime has occurred.